If you consider ‘a’ muscle to be a single unit that produces one specific function you are grossly underestimating the complexity of its structure. 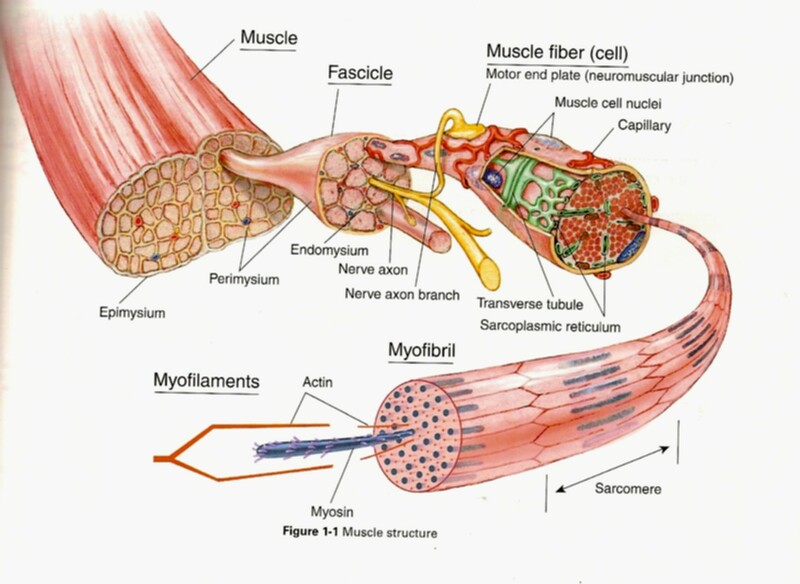 A muscle is more than ‘a’ muscle as all of the units that make up the structure (myocytes) can themselves be considered ‘muscles’ in their own right, each producing the exact function independently as does the whole. Namely, they draw tension into the connective tissue elements which surround them. From this perspective, each individual sarcomere can also rightfully be thought of as an independent ‘muscle’ whose protein components interact on the molecular level to tension their endomysial encasements. Thus ‘a muscle’ is more accurately thought of as a general name given to a group several thousand functioning structures. Each of these structures produce slightly differing angles of pull and thus create differing angles of tension affecting movement production. When we test for the strength of ‘a muscle’ this concept must be remembered…especially in lieu of the well established “specificity principle.” Based on this principle, a muscle can generate a good amount of force at a particular angle, but then fail to produce the same force when the testing angle is slightly altered (approx 15 degrees). Thus the angle of pull selected by the test cannot be used to make conclusions as to how the general ‘muscle’ is functioning. One can only conclude that the specific testing angle demonstrates weakness. This concept must also be considered when considering the overall function of a muscle…if there actually is ‘one’ to speak of. Most of these assumed functions are based on the directionality of the muscle fibres when observed from a gross tissue perspective (I won’t add the complexity of penniform muscle here). However, when one contemplates function based on the 3-dimentional nature of the structure (taking into account differing lines of pull/tension), the complexity of the actuator (neural input), and the seemingly infinite angles of motion that can be created, one must stop and ask themselves if we have enough information, and/or mental capacity, to claim any advanced understanding.